Love a little sparkle in your day? 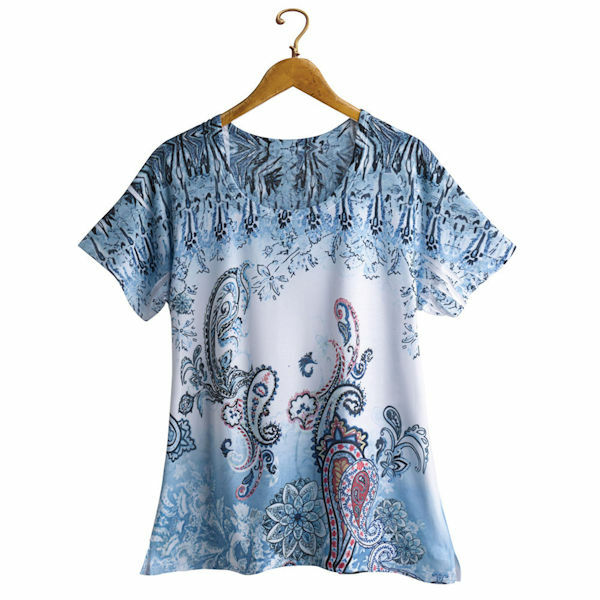 This tee combines an inventive twist on paisley patterns with rhinestone accents, making it the tunic you'll wear for fancy occasions and everyday fun. 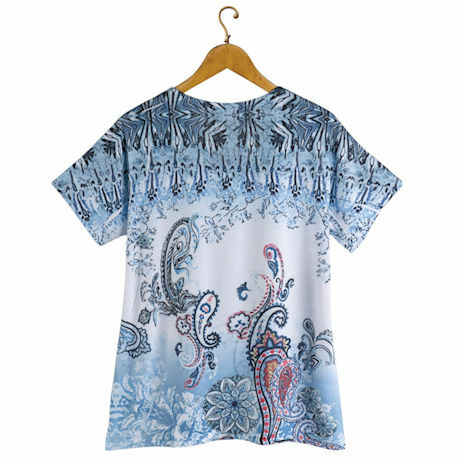 Hand wash. 95% polyester/ 5% elastane. Imported. S(6-8), M(10-12), L(14-16), XL(18), 1X(18W-20W), 2X(22W-24W); 27"L.